Ponds have long been a feature of gardens throughout the UK for many years and ideas for innovative designs will depend on the purpose of the pond as well as size and location within the garden. 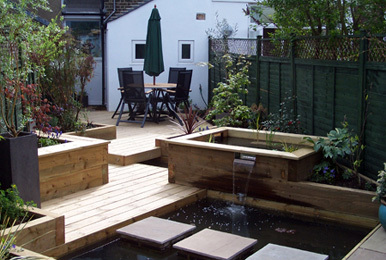 Ponds come in all shapes and sizes and they can be built in almost any location you can think of. This ranges from a small garden pond for the kids to put there gold fish in or very large ponds for the commercial market. Whatever you are looking for, we are able to make your ideas come to life.